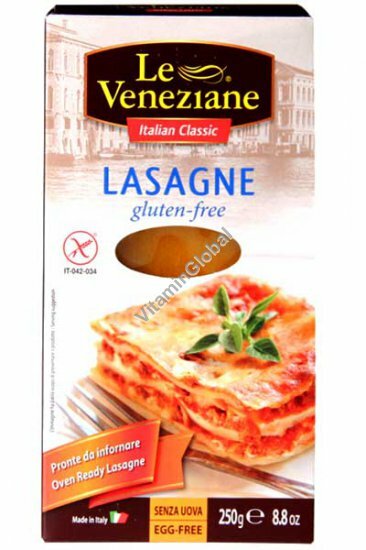 Preparation and Usage: The lasagne sheets are ready for use and do not need to be pre-cooked. Pour a little sauce onto the bottom of an oven dish. Put alternative layers of dry lasagna and sauce. Flavor each layer of lasagne with sauce and grated cheese. Add around 5 layers altogether and sprinkle plenty of grated cheese on the top layer, along with a few knobs of butter. Cook the lasagne in the oven at 200°C for 20 minutes. Leave the dish to settle for 10 minutes before serving.